Khymeia VRRS – Virtual Reality Rehabilitation System – is a medical device Class I certified and patented internationally. 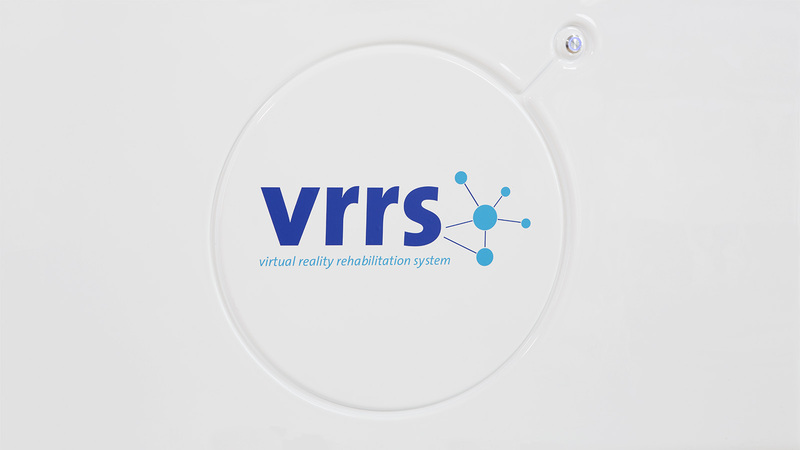 VRRS is the most advanced, comprehensive and clinically tested virtual reality system for rehabilitation and tele-rehabilitation in the market. The extreme ease of use, the high customization capabilities, the complete automatic reporting, the tele-rehabilitation functionalities, are some of the principles that lead the continuous development of the system. VRRS, in fact, is conceived as a “central HUB” to which it is possible to connect via USB a wide range of specialized peripheral devices, fully synchronized and integrated with the system. 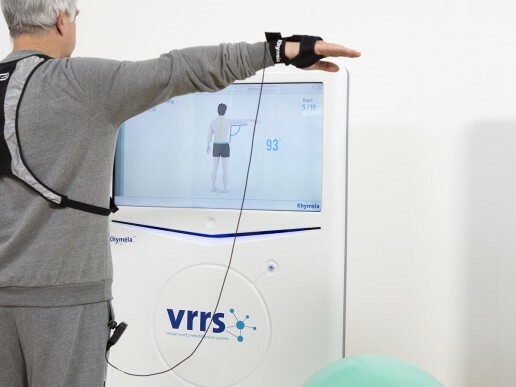 VRRS, with the exclusive magnetic kinematic acquisition system, is used as a clinical routine for the rehabilitation of a wide spectrum of diseases via the numerous rehabilitative modules containing the most extensive library of clinically validated exercises available. The scientific paradigms underpinning the system are in particular those of the “augmented feedback” and the “motor imagery”, principles that underpin the consolidated experience of the promotion, by the central nervous system, of motor learning. The augmented feedback, through exercises performed in a virtual environment, allows to develop the “knowledge of results” and the “knowledge of performance” of movements. By this way the central nervous system can activate a crucial mechanism of “physiological learning” which implies an increase of the specific information of a movement to produce as a result an effective increase of the performance quality. These feedback signals, during the execution of voluntary movements even if altered by the disease, lead to profound changes in the cortex and subcortical depth at the cellular and synaptic level that are responsible for the recovery of motor activity, even in patients with large cerebral stroke and cranial trauma. 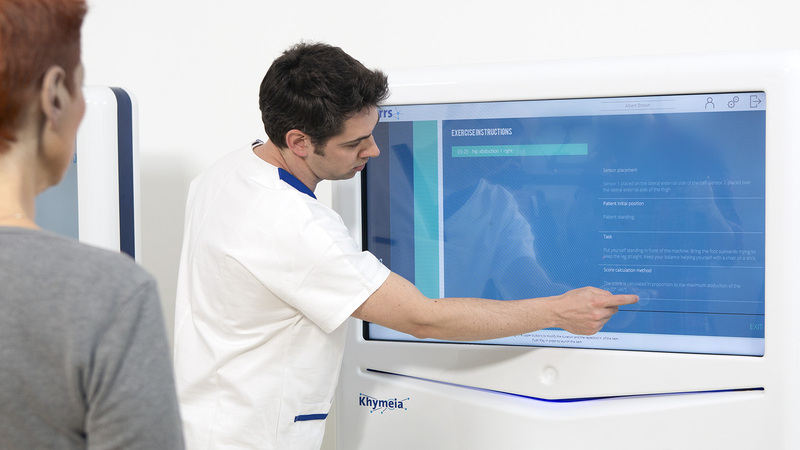 The patient treated with VRRS method does not need to divide his attention between his gesture and the one performed by the therapist at different times and different work spaces, thus avoiding to operate translations or rotations in the central nervous system level to assume the same point of view in the execution. VRRS, equipped with “remote touch” technology and “virtual assistant”, is remarkably easy to use. The system has a simple, intuitive interface that allows immediate management of all its functionalities. 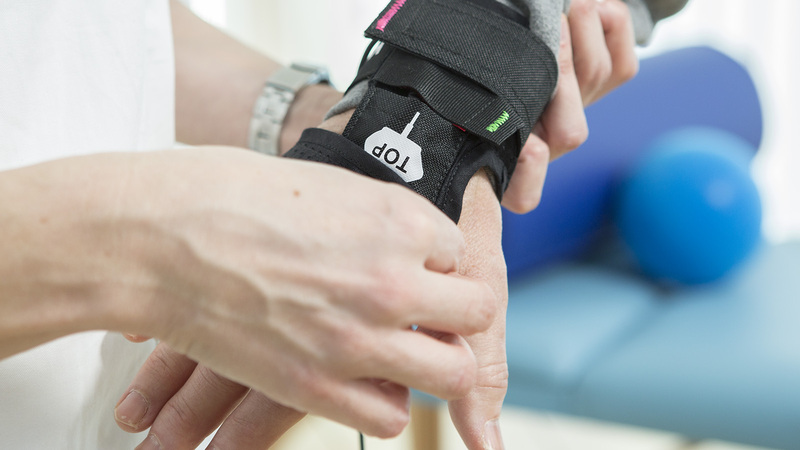 Each exercise is equipped with a preview clip that shows the correct positioning of the sensors and the execution of the exercise. 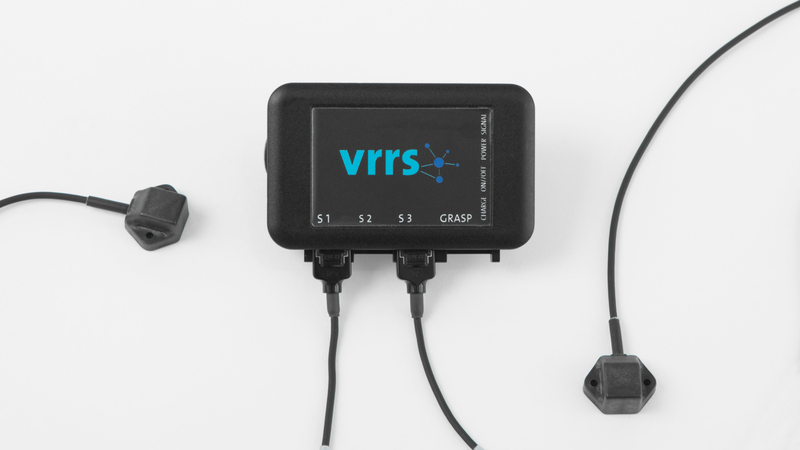 The VRRS is conceived and developed as a “central HUB” to which you can connect via USB a wide range of specialized peripheral devices, natively integrated and synchronized with the system. 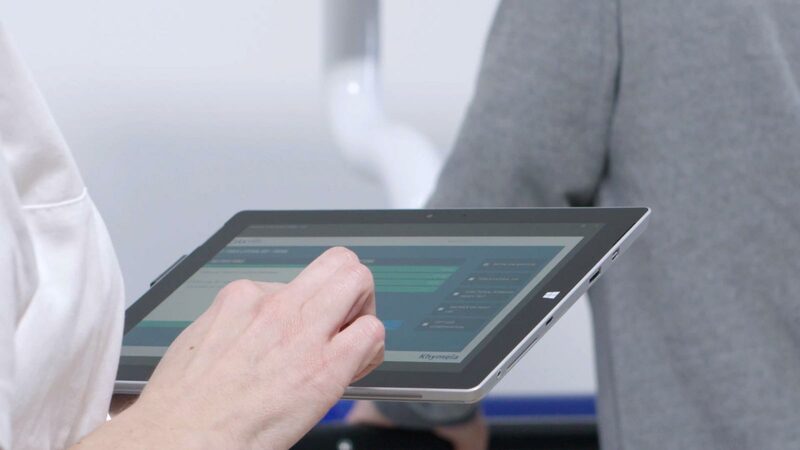 This allows the therapist to benefit from a single system of a wide range of rehabilitation activities related to the same patient and getting just one medical folder in which are automatically recorded all the sessions carried out by the patient with whatever peripheral device used. 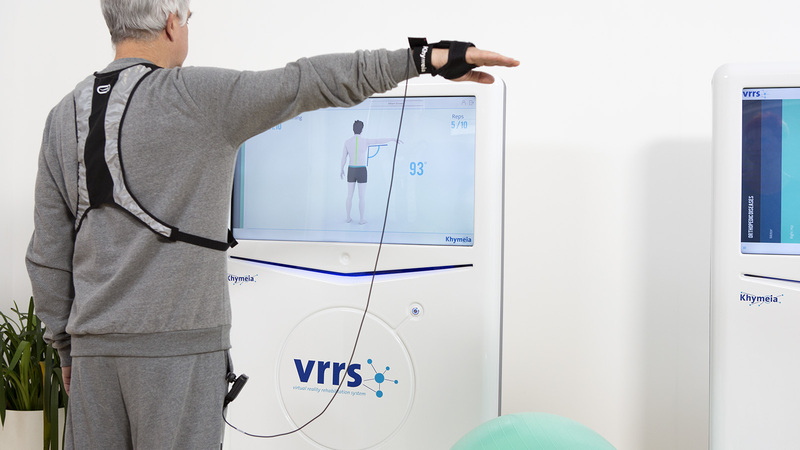 VRRS, with the exclusive magnetic kinematic acquisition system, is used as a clinical routine for the rehabilitation of a wide spectrum of diseases via the numerous rehabilitative modules: NEUROLOGICAL (motor; cognitive; speech therapy; balance; hand, fingers and wrist; cervical; immersive virtual reality; occupational therapy; muscle synergies) and ORTHOPEDIC (ankle; knee; pelvis; hip; hand; fingers; wrist; elbow; shoulder; back; cervical). VRRS contains the most extensive library of clinically validated exercises available. All exercises were carried out on precise clinical indication of the most authoritative international rehabilitation centers. 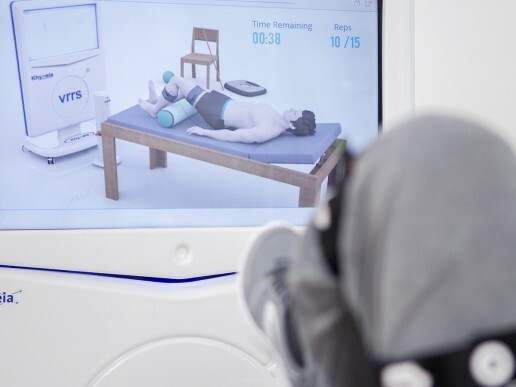 VRRS provides the possibility for therapists in very quick and simple way to create by themselves brand new exercises, getting the opportunity to customize the rehabilitation programs for each patient. Likewise they can make any changes to existing exercises. Each exercise is equipped with a variety of feedback that can be freely activated by the therapist. This allows to activate the mechanisms of the central nervous system related to the well-known scientific principles behind the method. All exercises have a score, modulated by the therapist based on the residual functional abilities of the specific patient, that rewards and motivates the execution of the prescribed exercise. The score is also an excellent tool to asses the progress made by the patient. 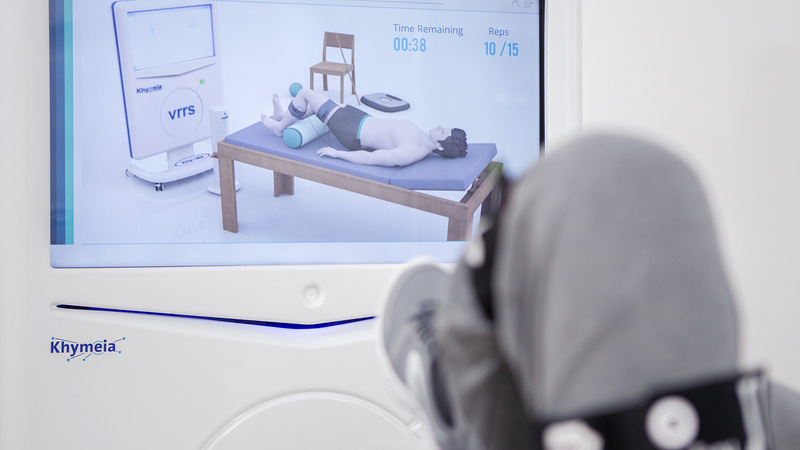 The smart virtual assistant system is the exclusive technological support that allows the patient to receive in real time an interactive feedback during the execution of the exercises. This tool is particularly useful in the remote tele-rehabilitation. 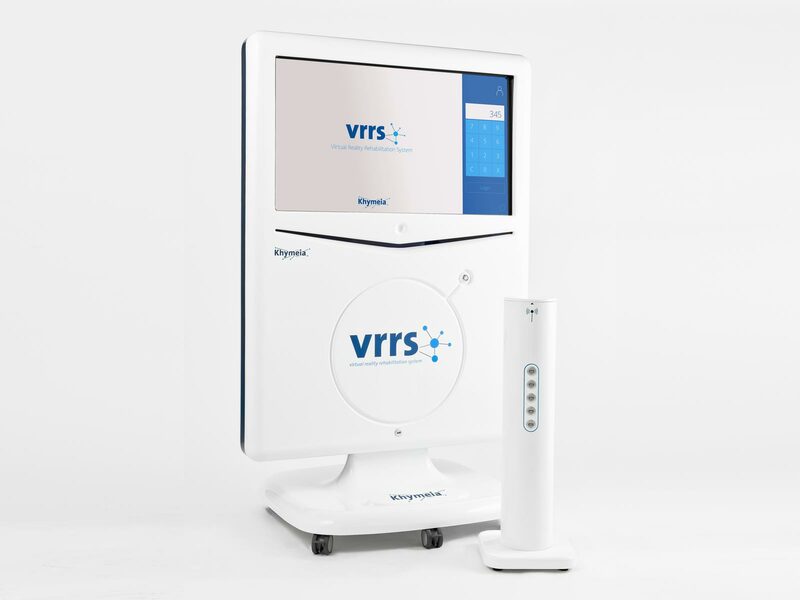 VRRS is equipped with the most advanced sensor technologies available. From the exclusive magnetic kinematic acquisition sensors that allows unparalleled temporal precision, kinematic accuracy and avoids any position shadow cone, to the light-detection sensor. 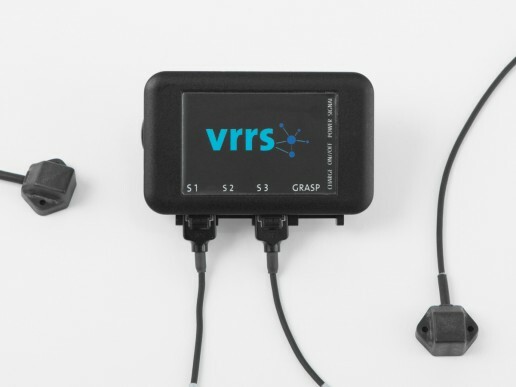 The VRRS sensors do not require any specific setting and do not require any reference to the starting position of the patient, being automatically generated by the system, thereby enabling to start with the exercises in no time. 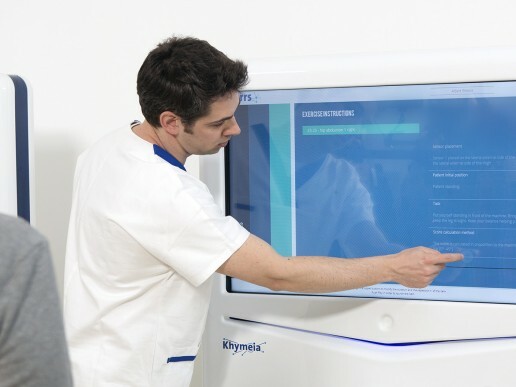 Each patient activity is automatically recorded by the system, thereby generating a complete and objective reporting system that can be intuitively consulted by the therapist at any time, with the opportunity to view from an actual “replay” of the completed exercises, to the most sophisticated analysis in graphical and numerical format. All data can be printed or exported into the most common formats. The reporting is integrated into the patient’s medical file. This is an outstanding tool for analysis and evaluation as well as an objective way of monitoring the patient progress. 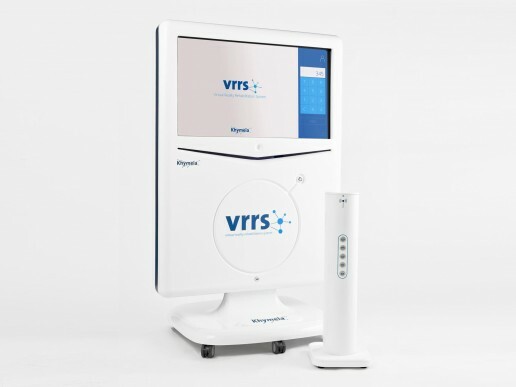 VRRS is designed natively to be synchronized with Cloud Server, enabling all the telemedicine and telerehabilitation activities, including the sharing of data and patient cards across multiple devices and across multiple clinical facilities. 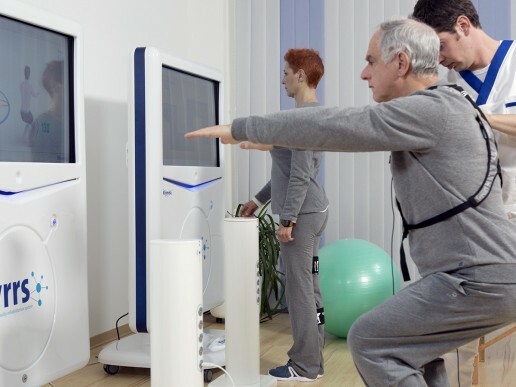 Many international scientific journals have certified the better effectiveness of the VRRS method compared to the traditional rehabilitation activities. 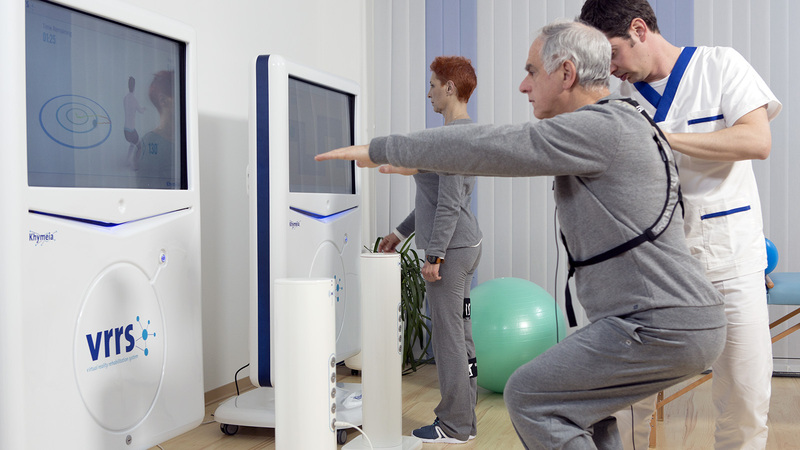 Moreover, the VRRS shows an extraordinary compliance by patients who play the VRRS exercises. Its gaming like structure activates a key motivational mechanism for the achievement of rehabilitation goals. 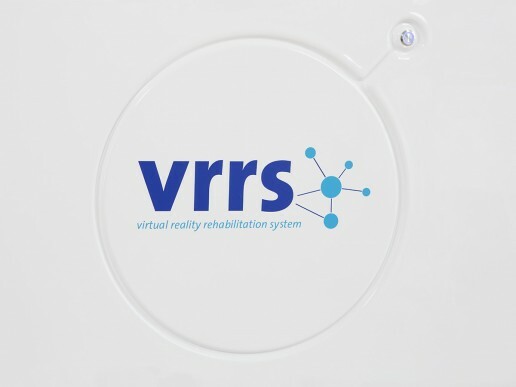 The VRRS method allows to give a concrete response to the constant increasing of rehabilitation demand, generated by the growing average survival rate. 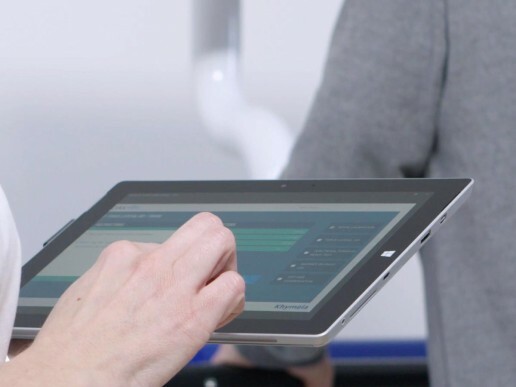 The native functionality of interconnectivity and the automatic reporting system of VRRS allows not only to maintain a continuous monitoring of patients, but also to integrate the existing medical records and health records. VRRS is also played as tool for scientific research. Its features provide an organized set of tools that can facilitate the conduct of scientific trials for a wide range of diseases. 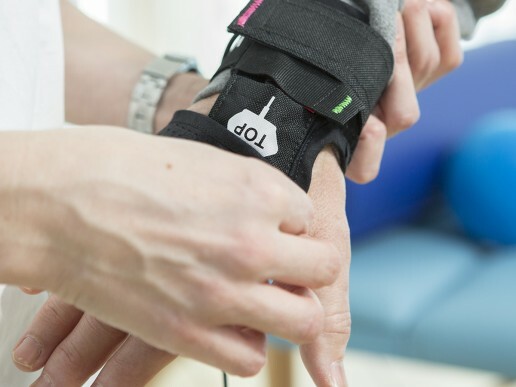 The characteristics of the tele-mode enable to implement efficient rehabilitation models that face concretely the needs of health economic efficiency and social expenses of patients and their care givers.